Please remember to Book your rooms in advance for RaceSaver Nationals℠ weekend since there is a Nebraska CornHusker Football game in Lincoln that weekend and rooms are already filling up fast. A lot of these special rates and room blocks are only in place until a specific date. 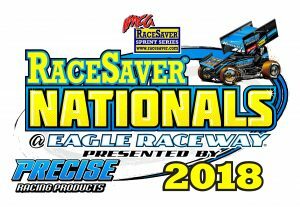 *New Victorian Inn & Suites -Lincoln* offers an Eagle Raceway Rate starting at $89.99 for RaceSaver Nationals℠ Weekend. *Holiday Inn Express -Gretna* offers an Eagle Raceway Rate starting at $99.99 for RaceSaver Nationals℠ Weekend. *Quality Inn & Suites -Omaha* offers an Eagle Raceway Rate starting at $84.99 for RaceSaver Nationals℠ Weekend. *Comfort Suites -Lincoln East* offers an Eagle Raceway Rate starting at $99.99 for RaceSaver Nationals℠ Weekend. 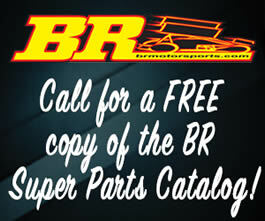 *Super 8 -Lincoln North* offers an Eagle Raceway Rate starting at $64.99 for RaceSaver Nationals℠ Weekend. Fairfield Inn& Suites* offers an Eagle Racewat Rate: Starting at $94.99/Night for RaceSaver Nationals Weekend. *Fairfield Inn & Suites -Papillion* offers an Eagle Raceway Rate starting at $109.99 for RaceSaver Nationals℠ Weekend. *Holiday Inn Express -Ralston* offers an Eagle Raceway Rate starting at $94.99 for RaceSaver Nationals℠ Weekend. Click here to reserve your room for the Eagle Raceway block. Eagle Raceway offers plenty of camping space for race fans wishing to spend the weekend at the facility. Reserved Camping spots with Electrical Hookups are available TBA$ which includes the whole weekend stay Thursday-Monday. Electrical Hookups are reserved on a first call first reserve basis and must be reserved by Monday, August 16th 2019. 402-238-2595. Otherwise camping WITHOUT electrical hookups is always free in specified areas. Shower rooms will be available in the Pit Garage FREE of Charge Thursday-Sunday from 9AM-3PM. Breakfast is served from 9:30AM-11AM Friday-Sunday in the Pit Concession.